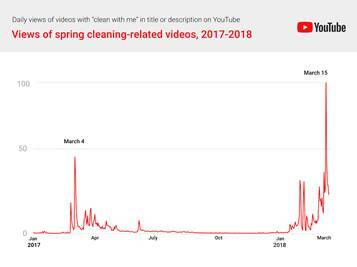 For the past two years, views of “clean with me” videos on YouTube have peaked just before spring. According to statistics from the video platform, lots of people are thinking about—if not actually—spring-cleaning during early to mid-March, and they’re looking to YouTube videos for inspiration. In 2017, views of videos with “clean with me” in the title or description got close to 50 million on March 4. This year on March 15, there were over 100 million views of such videos. Among these videos, YouTube found that the most popular rooms to clean for YouTube audiences are the bedroom, bathroom, kitchen, office, and living room, in that order. It makes sense that the bedroom would make the top of the list, as YouTube’s viewers skew young and may only have a bedroom of their own to clean, whether they’re teenagers living in their parents’ homes or subletting a room in a shared apartment. Also, a bedroom clean double as a show case of the cleaner’s products, as in the video below. “Clean with me” videos are pretty straightforward. They feature a YouTube creator, in this case Nathalie Muñoz (whose channel has over 197,000 subscribers), filming a step-by-step video them cleaning a room, often with a voiceover detailing the process. Currently, some of the most popular channels that feature spring cleaning content include 5-Minute Crafts, which has over 17 million subscribers, HouseholdHacker with 4.5 million subscribers, and ChrisFix, which has 3.2 million subscribers. 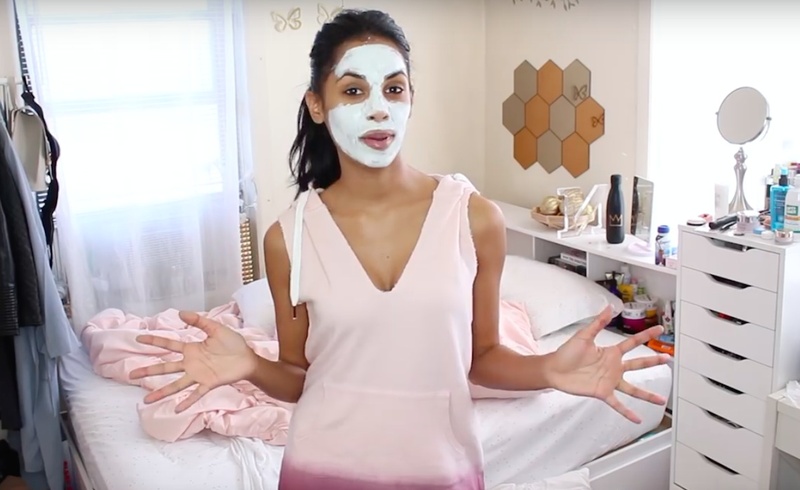 While some of these channels, like 5-Minute Crafts, also include health, beauty, and even “food décor” hacks, others focus pretty much solely on cleaning and de-cluttering. This includes Clean My Space, another popular channel during March that has nearly 866,000 subscribers. 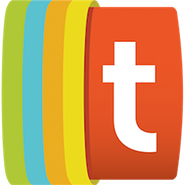 The creator of this channel, Melissa Maker, actually wrote a book titled after her channel on the topic of cleaning, which she released on March 7, 2017, just three days after views of cleaning videos peaked on YouTube that year.